Asheville, United States - October 16, 2017 /MarketersMedia/ — Go Adventure Outdoors is launching GAO, a new product targeting the growing demand for Advertising to the outdoor adventure industry using our unique content marketing platform from the Outdoor Adventure Industry market. GAO helps visitors Plan and contact potential outdoor businesses or plan an outdoor adventure. The new service gives the advertiser a unique platform where they can distribute and promote various pieces of content in the form of written, visual, audio and more. Each Advertiser has their own mini-site with many unique capabilities to reach an ever-expanding market. Based in North Carolina, Go Adventure Outdoors is a worldwide Outdoor Adventure Site, helping the Outdoor Adventure Industry to advertise to new potential customers. John of Go Adventure Outdoors says: "They need one focused suite that serves all of their adventure travel needs.". GAO blends a community with focussed advertising using realistic content marketing to support the outdoor industry. The value of the Vibrant and Exciting target market for the new product or service is estimated to be over $887 billion annually. 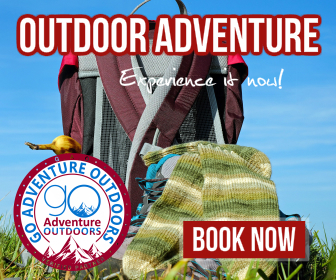 Go Adventure Outdoors was launched in response to demand for customers wanting to find outdoor adventures, and travel or advertise their outdoor business to a wider audience. and plans to become the major advertising and content platform for the adventure travel industry. over the next 12 months. Go Adventure Outdoors is an Outdoor Adventure Site company based in North Carolina and founded<a in 2017 to help customers in the Outdoor Adventure Industry market to Expand their outdoor brand and reach potential customers.